Brand new first and third party characters make the trophy shelf. Nintendo has announced that Super Smash Bros. Ultimate will have now have 59 assist trophies. During today’s Nintendo Direct on Super Smash Bros. Ultimate, the company confirmed both the return of a few assist trophy characters and debuted several newcomers. 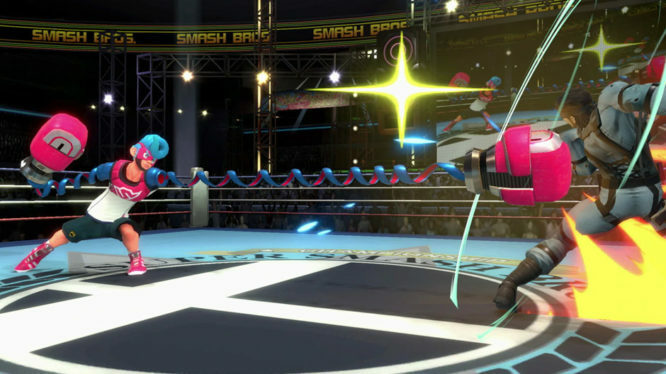 A number of new assist trophies were shown from both first and third party titles. Nintendo related characters include Thwomp (Mario series), Black Knight (Fire Emblem: Path of Radiance), Spring Man (ARMS), Tiki (Fire Emblem Awakening), Vince (Art Academy), and perhaps the most ridiculous pick of them all – the Flies & Hand from Mario Paint. Third party picks include Yuri Kozukata (Fatal Frame: Maiden of Black Water), the Wily Capsule (Mega Man), Guile (Street Fighter), and Akira (Virtua Fighter). Previously unconfirmed characters set to make their return include Isaac (Golden Sun), Shadow the Hedgehog, Starman (Earthbound), Takamaru (The Mysterious Murasame Castle), Nightmare (Kirby’s Adventure) and Color TV-Game 15. This news comes as a blow to any fans hoping the rumours surrounding Shadow and Isaac as playable characters were true. Nintendo also let players know that assist trophies can be killed by the person who summoned them before their death to avoid other players getting a free kill. During today’s Direct, Nintendo also confirmed Ken and Incineroar as the last two fighters coming to the game at launch, discussed their plans for paid DLC coming to Super Smash Bros. Ultimate and unveiled the game’s new “Spirits” mode. Fans looking to pre-order the game can do so now physically or on the Nintendo eShop. From now until December 9th pre-orders will also double the number of Gold Points earned from Super Smash Bros. Ultimate purchases. Games that purchase the game and claim My Nintendo Gold points by January 31st will also receive Piranha Plant as free DLC.